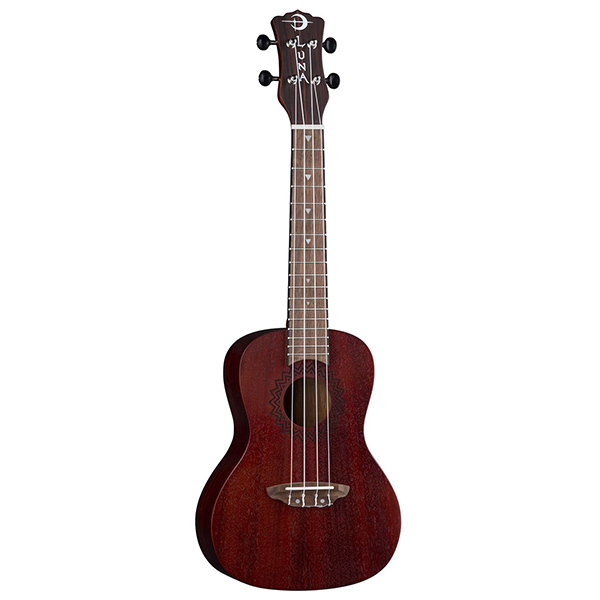 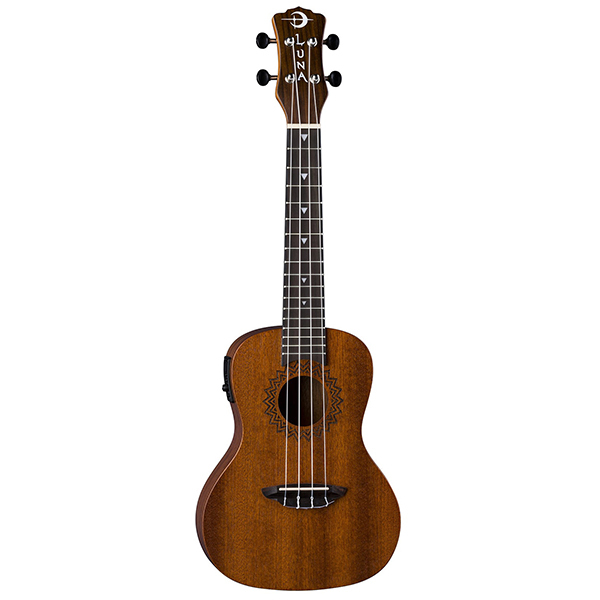 Light weight and easy to carry take this charming Red Satin soprano uke everywhere you go! 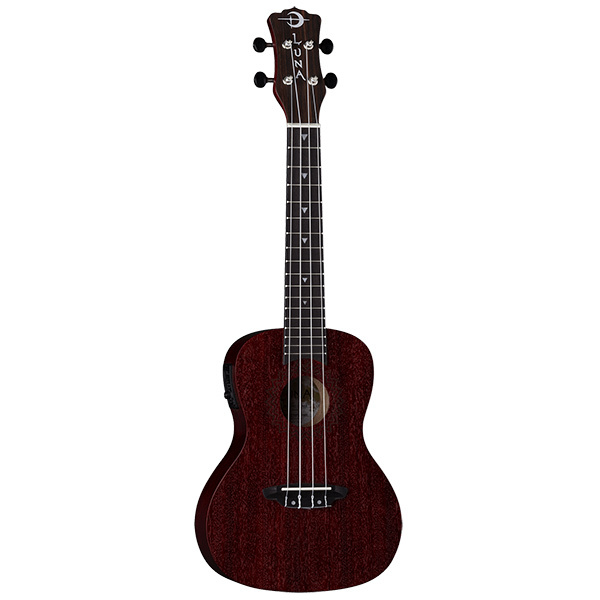 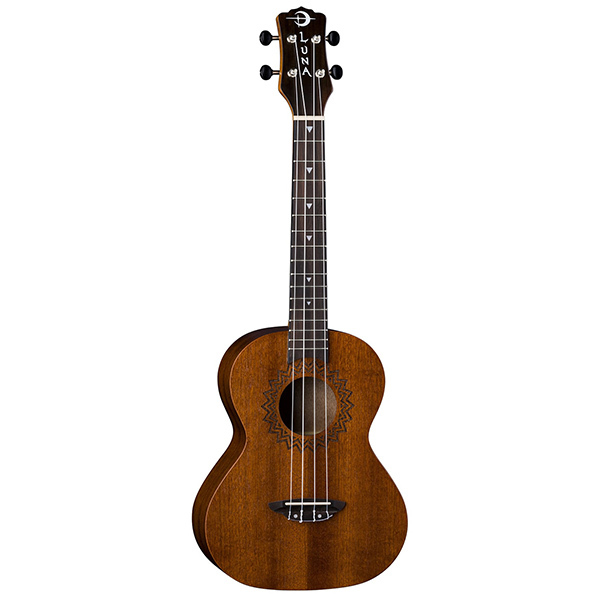 Luna continues its unique stride in creativity by introducing a full family of Vintage ukuleles dressed in a Red Satin finish. Adding on to the already popular Vintage Series, the Vintage Mahogany Soprano in Red Satin offers a traditional soprano shaped body, walnut bridge and fretboard, 13 scale length and beautiful pearloid triangle inlays. 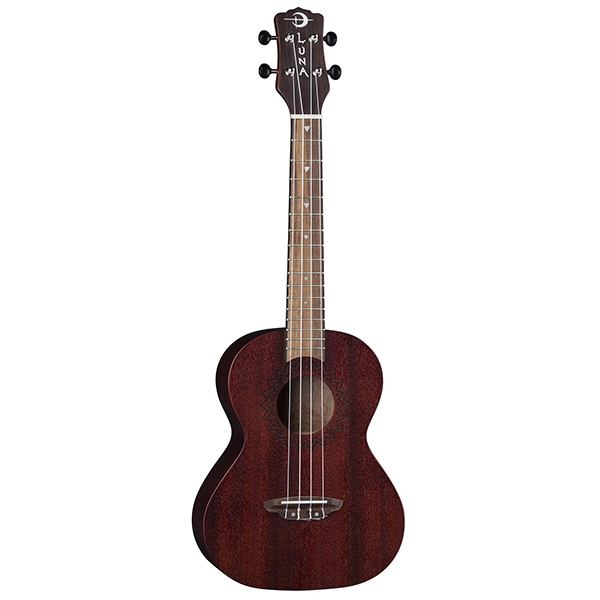 The signature laser-etched rosette design around the sound hole compliments its already vivid Red Satin color. 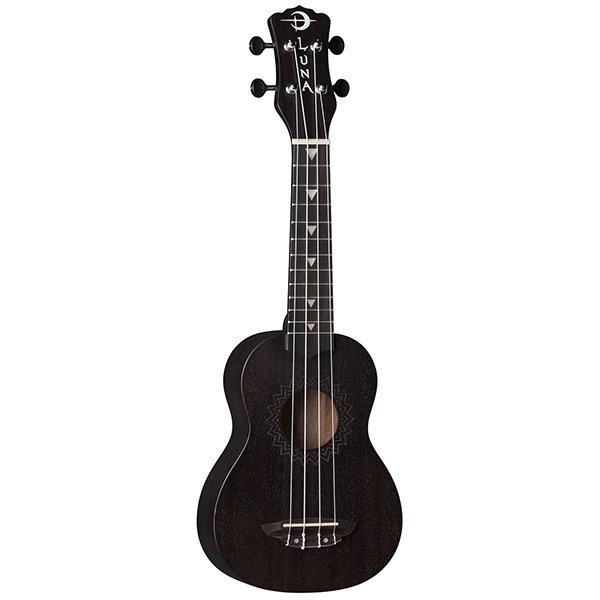 Expect sharp yet vibrant sound from the all mahogany body and easily keep that rhythm in tune with the sturdy black open gear tuners. This is a wonderful instrument for players of all skill levels. 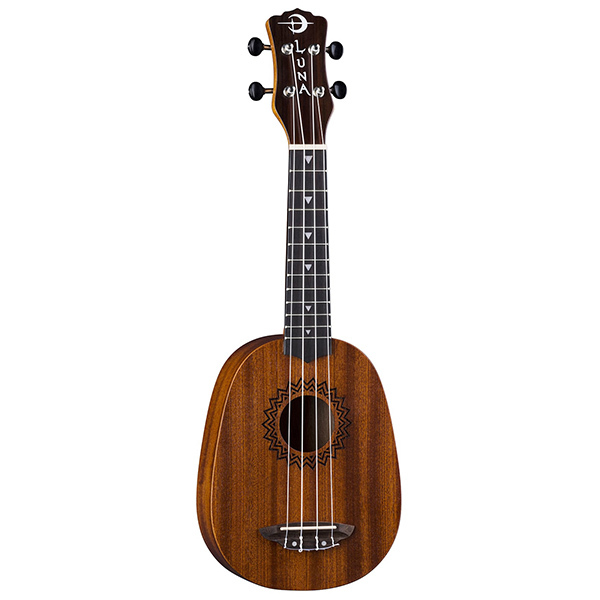 Join the Luna Tribe!